This is the time of year when children thank their teachers – but what about music teachers? I have made this card today for The Cheerful Stamp Pad, using a digistamp and backing papers from SentimentabaSusan – available at the Stitchy bear outlet. 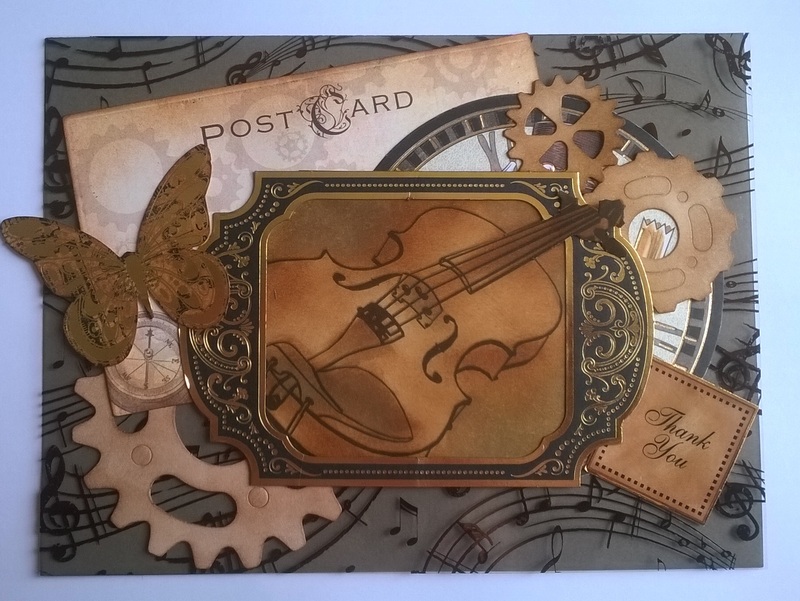 I have used stash from Kanabn’s McKenzie and Stampunk ranges to collate the card and the beautiful acetate overlay is from Hunkydory. Don’t forget to enter youer card for a man over at The Cheerful Stamp Pad.